Rubber Coated Chrome Handle Kettlebell is a kind of Cast Iron Kettlebell that is coated with dipped rubber base. The handles are chrome plated, looks very shining and add attractiveness. The chrome surface also very smooth to allow easy and firm grip power during use. Specially designed handle are big enough for two hand use. Weights are marked on the surface of the rubber coating for easy classification. 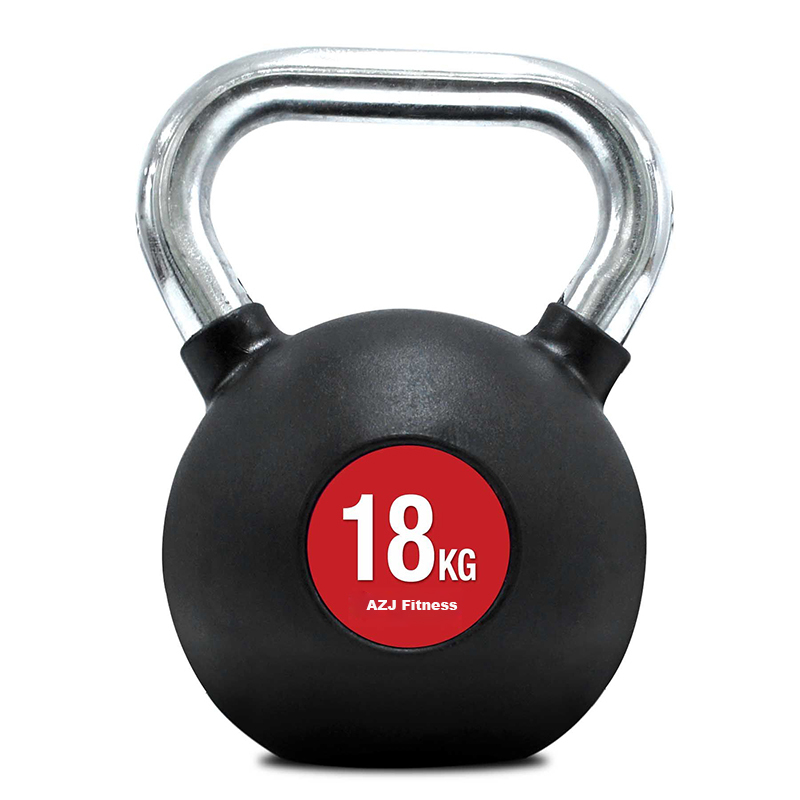 They are available in a wide range of weights and one can pick up suitable weight to start. Looking for ideal Chrome Handle Kettlebell Manufacturer & supplier ? We have a wide selection at great prices to help you get creative. 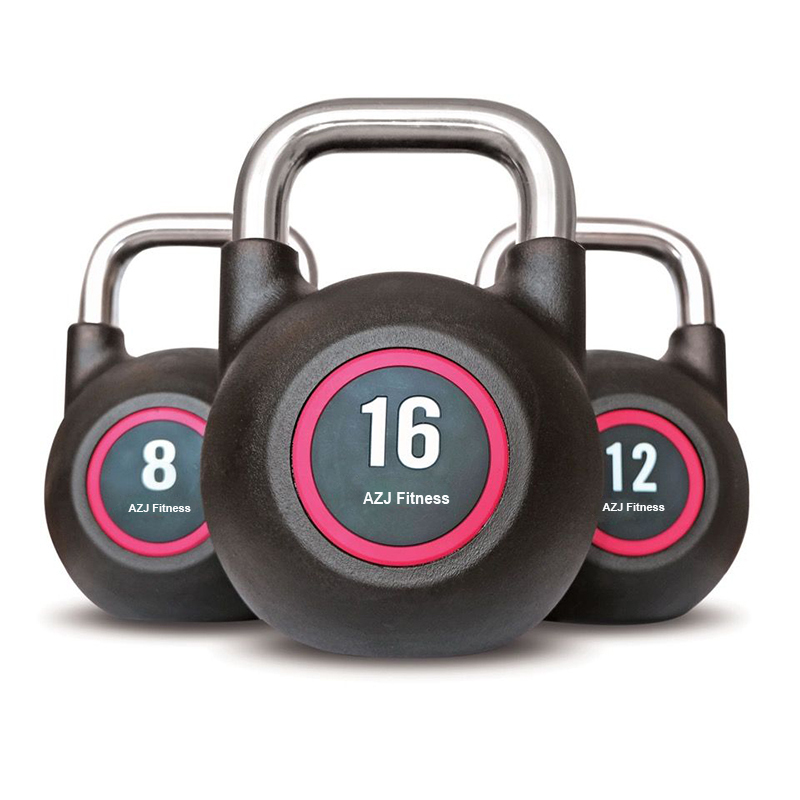 All the 16kg Rubber Coated Kettlebell are quality guaranteed. We are China Origin Factory of 16kg Vinyl Coated Kettlebell. If you have any question, please feel free to contact us.